My Baby Is Having A Seizure, What Do I Do? 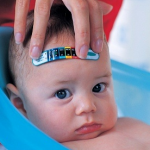 I received a question regarding infants having seizures and the proper treatment for them. The person asked if it’s proper to handle the patient the same as an adult? This is a great question and one I wanted to address a little more in depth than a simple reply by email. First, it’s important to understand what a seizure is. The following is a quote by physician, Dr. Fawn Leigh from Duke Health who did a great job describing the two different categories of seizures and how they manifest themselves. Other types of convulsive seizure activity include myoclonic and atonic seizure activity. Myoclonus is usually characterized by sudden, single jerks. Atonic seizure activity is typically characterized by dropping quickly to the floor as if suddenly asleep or paralyzed. The child then quickly recovers. These two latter convulsive seizure types can both be difficult to diagnose and treat because often they are the manifestation of a mixed seizure disorder. 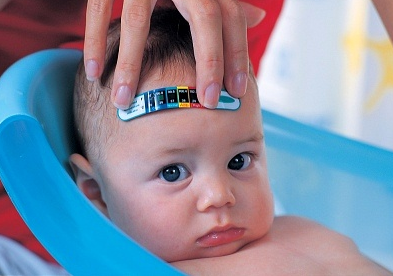 In infants these seizures may be called infantile spasms. Partial seizures can be simple or complex. Simple partial seizures are focal seizures that involve movement or sensation on one side of the body without altered consciousness. Simple partial seizures are commonly localized to areas in the brain called the motor or sensory strip. Partial seizures may be with or without aura, which involves associated states such as fear, or changes in heart rate, flushing, or abdominal discomfort. Thirdly, when it comes to treating an infant compared to an adult, it’s a bit easier, though not any less intense especially if it’s your child. It’s physically easier because baby is smaller and easier to manage. If this seizure is with a child who has never had a seizure before, 911 or Emergency Medical Services should be activated. The rescuer is going to follow National and International guidelines for treating a seizure patient. Protect the baby from hurting itself while seizing. If it’s in a bath tub, drain the bath tub of water so as to reduce the risk of drowning and then protect the child from hurting itself while seizing. Nothing should be put into it’s mouth which is old school for seizure management in trying to prevent “swallowing the tongue” or biting the tongue off. It is also important that we not try and prevent the baby’s body from convulsing by holding it still or wrapping them tightly. Simply protect it’s head and other parts of it’s body from hitting anything during the convulsive stage of the seizure. After the seizure is over, the baby will usually go into a post seizure phase called the “postictal” phase, and there may be some frothy sputum(spit) around the baby’s mouth or in its nose. A bulb syringe normally used for suctioning mucous or sinus congestion could be used to suction or clear the baby’s nasal passage but it is probably not as necessary as we’d like to think. As a general rule, baby’s have a great gag reflex and if they have any mucous or sputum in their upper airway, it will probably be coughed clear. If the baby begins to breath after the seizure, it could be irregular with some grunting for a short time and then increasingly get more normal. Skin color if it has changed during the seizure to a dusky, purple or blue color should improve as the baby begins breathing more normal and it is perfectly acceptable to comfort the baby in a natural position while maintaining a neutral airway in order for it to recover from the seizure. If it does not begin breathing, begin basic cardiac life support according to the latest ECC/ILCOR and American Heart Association guidelines. Courtesy of ProFirstAid.com, a Free Online infant CPR training video is available by clicking here! As many as 2-5% of all children will experience at least one seizure related to a fever over 102 degrees Fahrenheit. The seizure itself is usually harmless and does not cause brain damage nor lead to epilepsy. Seizures in any age patient can be very scary, and the causes of a seizure are many. Therefore, if it’s the first seizure the person has ever had, we should plan for the worst and hope for the best. This can be done by calling the emergency medical services or 911 depending on your area. Support the patient with basic first aid procedures while waiting for rescuers to arrive and then follow up with your pediatrician after the baby is stable. If your baby is having a high fever and your afraid that it may cause a febrile seizure, there are some basic steps to help lower your baby’s temperature. Click here to read an article about how to lower a body temperature from a fever. Well, I hope this helps and I appreciate the great questions so many of you have been asking. Keep them coming and while your waiting for a response, keep on saving lives!